Following his inspiring teaching events and screenings in Wales in 2014, Stephen Jenkinson will be back in UK November 2015 and will be offering two talks and two one day teaching events in Monmouth and Pembrokeshire with Holy Hiatus. 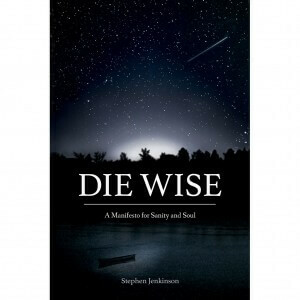 Die Wise – A Manifesto for Sanity and Soul, is Stephen Jenkinson’s new book about grief, and dying, and the great love of life. Published by North Atlantic Books. 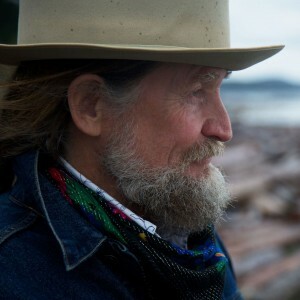 Griefwalker is a National Film Board of Canada feature documentary film, directed by Tim Wilson. It is a lyrical, poetic portrait of Stephen’s work with dying people. Stephen teaches internationally and is the creator and principal instructor of the Orphan Wisdom School, founded in 2010. With Master’s degrees from Harvard University (Theology) and the University of Toronto (Social Work), he is revolutionizing grief and dying in North America. Stephen is redefining what it means to live, and die well. 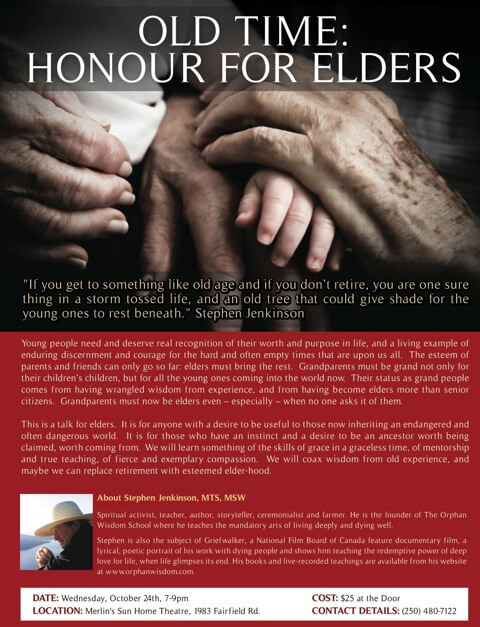 Apprenticed to a master storyteller, he has worked extensively with dying people and their families, is former programme director in a major Canadian hospital, former assistant professor in a prominent Canadian medical school, consultant to palliative care and hospice organizations and educator and advocate in the helping professions. He is also a sculptor, traditional canoe builder whose house won a Governor General’s Award for architecture.